TT Technologies Trenchless Equipment Solutions | TT Technologies, Inc.
For over 45 years TT Technologies has been the worldwide leader in trenchless technology. 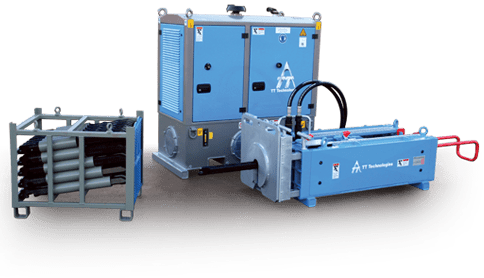 TT Technologies complete line of trenchless equipment includes: piercing tools, guided boring tools, pneumatic, static and lateral pipe bursting systems, pipe ramming tools, bentonite mixing systems, constant-tension winches, directional drills and mini-directional drill rigs. Each year more trenchless sewer, water, gas and electric rehabilitation and replacement projects are successfully completed with trenchless equipment from TT Technologies than any other. TT Technologies is the leader in trenchless! The Grundoburst static pipe bursting system is one of the most dynamic pieces of trenchless equipment available. The capability to burst ductile iron and steel pipe, in addition to fracturable pipe, puts the Grundoburst is in class by itself. The ability to install a range of product pipe material makes the Grundoburst the first choice for a wide range of applications. See Us at the AGA Show! trenchlessonline.com/index/webapp-s… 1,000 year floods? No problem, Horizontal Boring & Tunneling Co. and the trusty #Grundoram #Taurus gotcha covered! Copyright © 2001 - TT Technologies, Inc. All Rights Reserved.